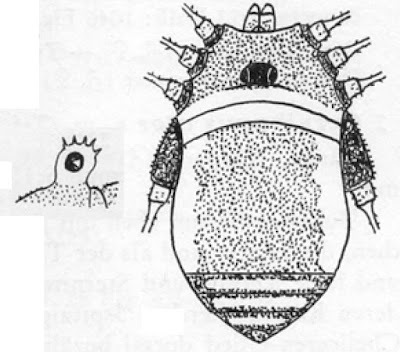 Lateral view of eyemound and dorsal view of body of Hypsibunus aurotransversalis, from Roewer (1955). Hypsibunus is a genus of sclerosomatid harvestmen from southern Asia characterised by the presence of two pseudoarticular nodules in femur II, and a spinose eyemound (Roewer 1955). 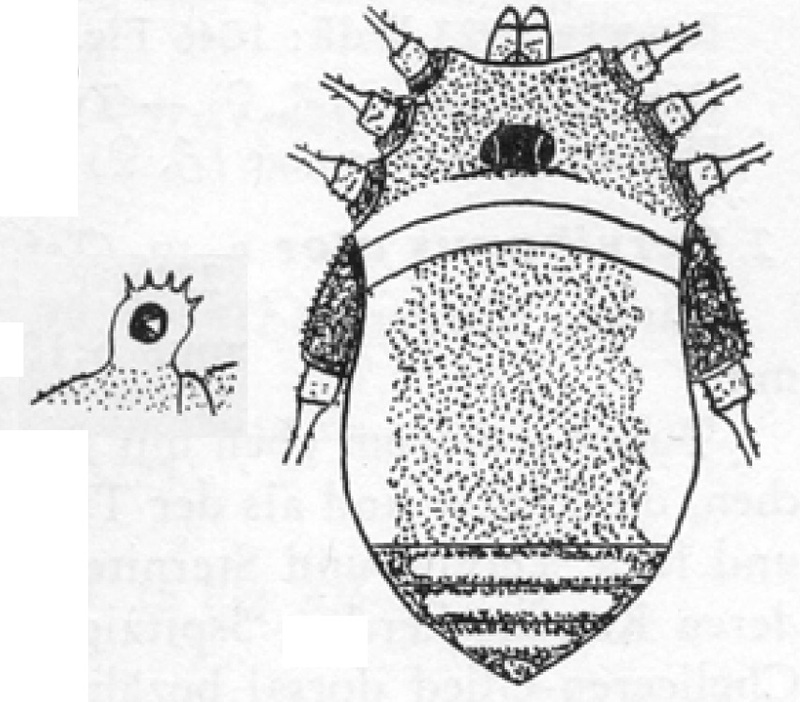 Characters (from Roewer 1955): Femora I–IV with 0.2.0.0 nodules; eyemound armed with strong denticles or upstanding spines; femora I and III cylindrical, longer than body.